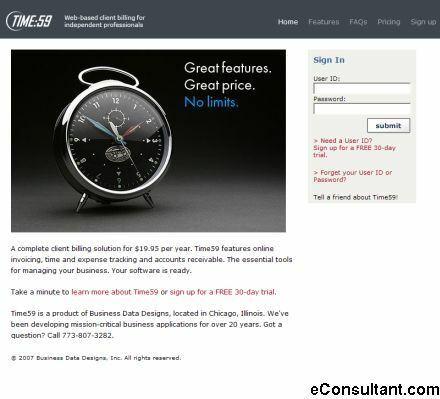 Description : With Time59, recording billable hours is quick and easy. Just sign in, select a client and a project, and enter your hours. You’re done, and you won’t have to re-type that time record when you invoice. Time59 generates invoices based on the time you’ve already entered. There’s no typing or manual calculations involved.